ООО ‘‘Factory SpecMach’’ — one of the leading defense industry complex enterprises of Russia on development and industry of ground-support equipment for aircraft. 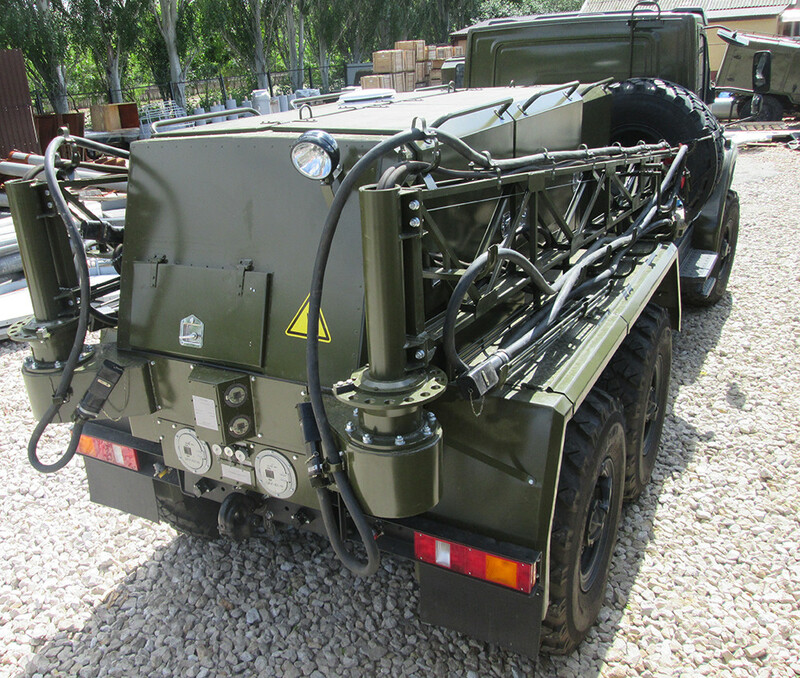 Enterprise staff is aimed at effective use of its design, technology and industrial potential in the development and manufacturing of production satisfying the needs of RF and CIS countries security agencies, as well as civil aviation enterprises. In plans of enterprise is solution of some interrelated mandates, which will provide viable development of enterprise, will improve economic and financial indicators via customized products and increasing number of items in domestic and external market. Firstly – it is a product development, technical and performance characteristics of core products, which will be in demand by consumers in the near future, creation of scientific and technical groundwork for its development and manufacturing providing. By this way perspective samples must have relatively low value of development, manufacturing and operation. Analyses of contemporary military operations benefit (incl. In the Middle East) and application of aircraft ground-support equipment showed, that further perspectives of their development are connected first of all with resilience-building, autonomy, climate resilience easy servicing. Thus, all these must be combined with improvement of their technical characteristics. At the present moment our enterprise is only one, having positive experience in operation of production models of the items mentioned above. Secondly – it is modernization and improvement of enterprise production plants. Despite the fact that, practically all used equipment in enterprise are of production until 2012, modern vehicles and equipment of domestic and foreign manufacturers continue to be purchased. Only in 2017 started the production of multifunctional, vertical-milling manufacturing commercial vehicle MCV-500 (SMEC, South Korea), two lathes four axial manufacturing commercial vehicle PL-1600М and PL-15 (Samsung, South Korea), two lathes with CNC 16 GS 25 FЗ SЗ GKM and 16 GS 25 FЗ SЗ GK 1S; two vertical knee mills FSS450MP (Belarus), two universal lathes ZMM CU 730 (Bulgari), three-roll machine VGM 10х2000, plate bending machine LGM 4х2500 with CNC, radial drilling machine АС2540, semiautomatic welder Powertec 305C PRO-K14057-1 (Lincoln Electric, USA), several welders Fox Weld Inver Mig 253, Fox Weld TIG 303 AC/DC Pulse, PRO TIG 315 T, Pedro INTEC MIG-3500, semiautomatic grinding machines for drill of diameter 2 to 30 mm, mills from 5 to 36 mm, incisors of any bevel angle, forklift loader KOMATSU FD25T-1 (Japan), climate cell M-800. Thirdly, development of enterprise scientific-technical potential. First of all attracting and preparation of young specialists, able to solve objectives in the light of new technologies and at the interface of usual technical disciplines. Enterprise development implies increase in the share of its own labour with decrease in the share of vendors in final product, which is connected with introduction of new technologies and technical processes by enterprise strength. Without advanced professional training of current and involving new specialists, having knowledge and work experience in other modern enterprises, it is impossible. In enterprise a comprehensive programme for staff, its development and adaptation is designed and implemented. Fourthly, it is cost saving in development and manufacturing of its production. An ongoing modernization and improvement of enterprise production basis allows receiving access to new hi-tech production facilities, get away from vendors price dictate, reduce time of final product making technological cycle process. Special attention is given to embodied energy decrease. There is an important work ahead on development of production market outlet. 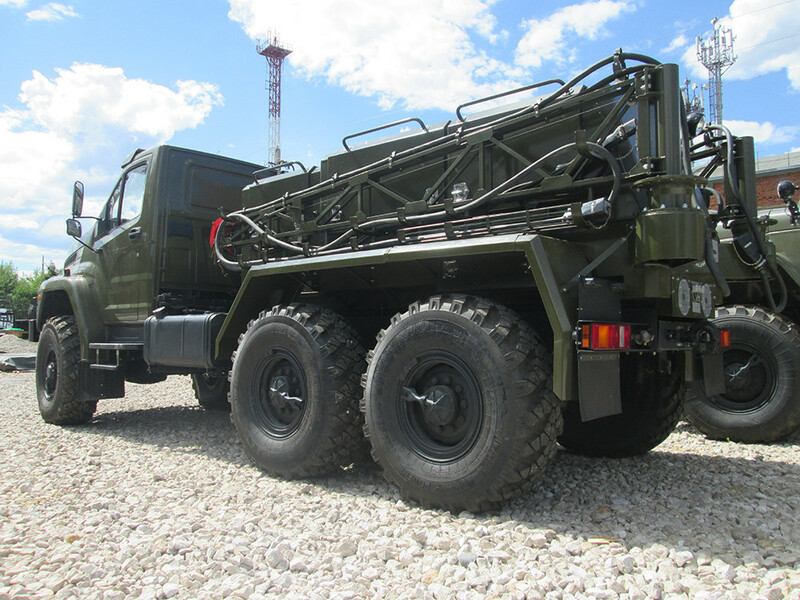 Today our major customers are RF and CIS countries security forces. 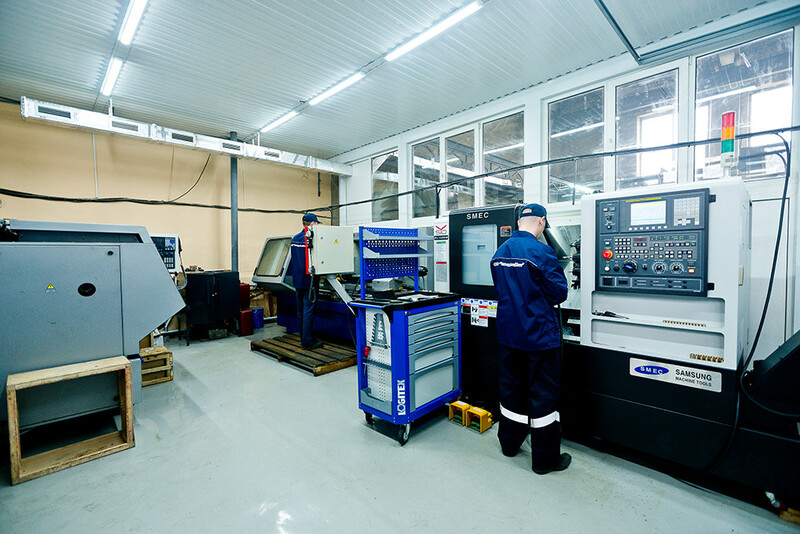 As our production is double-purpose, another perspective development direction of ООО ‘‘Factory SpecMach’’ is the involvement of new partners and customers through civil aviation enterprises of RF and CIS countries with the perspective of market entry of further afield. Small aircraft deserves special attention, their demand in ground-supply equipment in average power and absence of transportation necessity in the long distance. Fifthly, enterprise need to absorb and develop CALS-technology. The challenge is to create and implement at single information space enterprise, on the base of which build systems to increase resource management level (material, financial, personnel) and information support of production life cycle.